I’m not sure about your social media, but mine lately’s been blowing up with people talking about just how much their hometown they are. People on my feeds are so Chicago. They’re so Wingate, NC, they’re so Worcester, MA, and they’re so New York City. They’re dropping names of old hangouts and neighborhood characters. 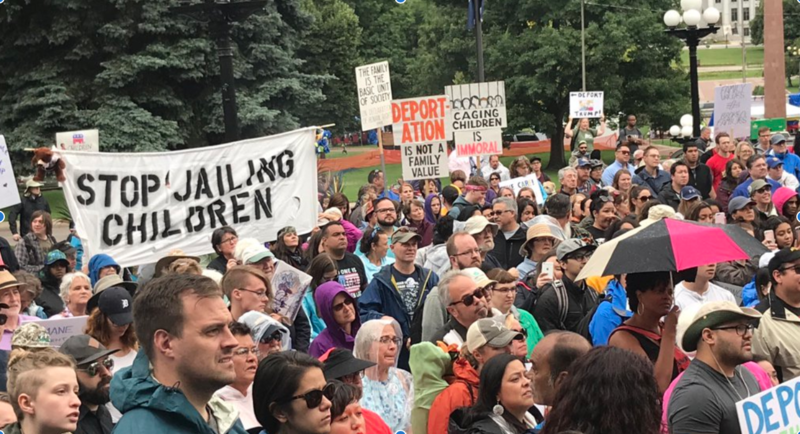 As an immigrant girl, I happen to have thought quite a bit about home. But am I so my hometown? Nah. In fact, I’m so immigrant that when I go back to the place I’m from I’m a gringa, although here I’ll never really be American. I’m so immigrant that I feel the absence of so much knowledge about my home like an ache on a missing limb. I’m so immigrant that the place that’s felt the closest to home for me since I left — New York City — is a place of countless diasporas and continuing displacement. I’m so immigrant that thinking about the concept of home makes my brain spin and my heart hurt. ire’ne lara silva seems to know something about that kind of hurt. In her gorgeous collection of short stories, flesh to bone, she writes beautifully about this tenuous struggle to find home. And not just the kind of home immigrants like me long for — though certainly stories of migrations feature prominently in many of these short stories — but home in a larger sense as well. Her characters push to find themselves at home in their bodies — in sexual bodies, sick bodies, magical bodies. They struggle to find home on foreign lands, and on now colonized lands their people have lived in forever. They search for home in the body of a lover, on wet earth, in dreams, and in myths. 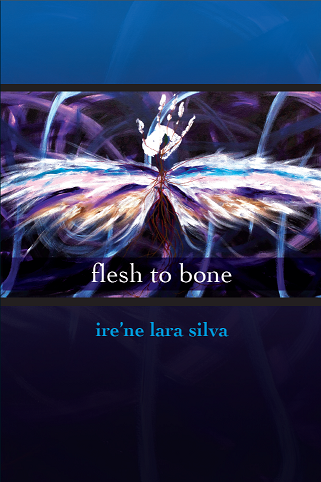 In flesh to bone, ire’ne lara silva tells stories in the tradition of Juan Rulfo and Maria Luisa Bombal, with fierce and vivid imagery that blurs the lines of the real and the fantastical. She refuses, however, to identify this collection as magical realism: the stories’ fantastical elements, she says, are representative of the shifting realities of very real landscapes of loss and violence at the borderlands. And in fact, she uses elements of magic, myth, and fantasy to viscerally illustrate modern realities through a decidedly Latina and Chicana lens. 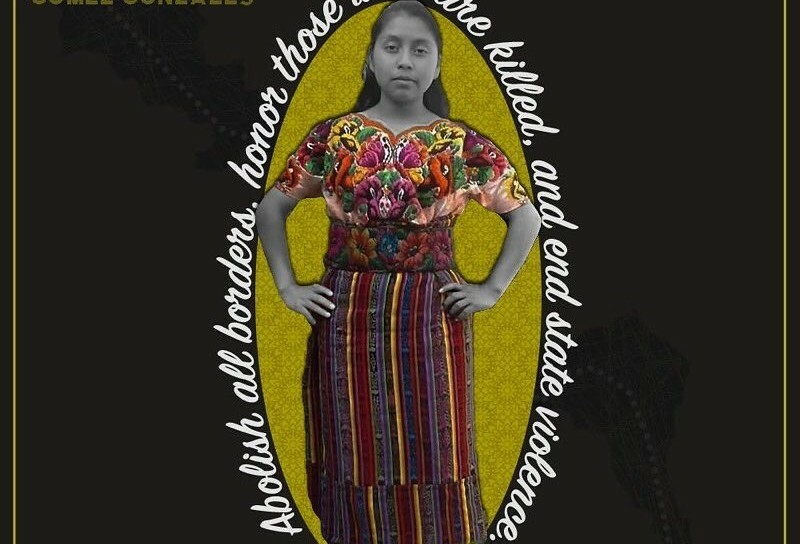 The stories in flesh to bone deal with indígena identity, femicide in Juarez, queer love and loss, domestic, interpersonal, and state violence. And yes, these stories are very much about Latinx* pain, and the sometimes surprising ways it manifests in our lives. They are about the pain of migration, the pain of poverty, homophobia, misogyny, the pain of families who drift apart and come together. These stories are about manifestations of the pain of oppressions piled onto one other. But these are not one-sided sob stories about how hard some of us have it. Ultimately, these are stories about the ways that Latinxs resist. They are about the ways women resist, and the ways indigenous folks, and immigrants, and farm workers resist. They are about the ways that people learn to live with the pain in their lives, and search to do so with dignity. In this sense, these stories are also imbued with the resistance of folks who are disabled and chronically ill. And in fact, though only a few of the stories touch on illness in the traditional sense, the author’s identity as chronically ill in some ways touches on all the stories: these aren’t stories where pain is resolved, where love or some other literary trope enters to cure protagonists of their pain or longing. They’re stories of the struggle to live with pain — of the constant and grating gnawing of pain, yes, but also of the power in people who live with pain daily. I have to say that I am really looking forward to further exploration of these themes in the upcoming anthology Chronically RED: Indigenous Bodies Writing and Resisting Chronic Illness in the Age of Paracolonial Occupation, of which ire’ne lara silva is a co-editor with Rain C. Gomez. It took a couple stories for me to get acclimated to lara silva’s style, and initially I wasn’t sure that I would be able to get through the rich descriptions and into the core of what she wanted to say. But that quickly fell away as I was able to let go of the tether of traditional reality to recognize themes that spoke to me as an immigrant in search for home — or something that feels like it. Though home seems a simple enough concept, for so many of us it’s much more complicated: not just by migrations, but by abusive family dynamics, or colonization, or poverty. flesh to bone explores these dynamics in ways both complicated and beautiful. Get your hands on a copy here. * You’ll notice that I used an x rather than using the masculine general, the feminine or even @ (e.g. Latinxs). I started using this in written Spanish after talking with Spanish-speaking trans communities about the ways that they want to see themselves in written language. I have started to use the x in solidarity with them, to respect those who don’t fit that binary, and in an effort to question the false notion of a gender binary in written Spanish. 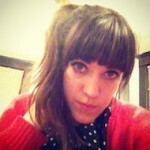 Verónica is a queer immigrant writer, activist, artist, and rabble-rouser.